Kerstin Isaacs is the Marketing Director at Cohen Seglias. She is responsible for executing the Firm's marketing strategy across all offices, including attorney marketing plans, advertising, events and sponsorships. Join us for our 10th Annual Labor & Employment Law Seminar where our attorneys will lead interactive discussions on the latest issues impacting your business. On July 26th join Cohen Seglias attorneys Matt Gioffre and Dan Fierstein for their seminar, “Killer Contract Clauses for Construction & Service” for the Mechanical & Service Contractors Association (M&SCA) in Blue Bell, PA. Matt and Dan will explain Killer Contract Clauses, how courts will interpret and enforce them, and will provide best practice tips for managing a project to minimize the impact of these contractual provisions. We are pleased to announce that eleven Cohen Seglias attorneys were selected to this year’s Pennsylvania Super Lawyers list and eight attorneys to the Pennsylvania Rising Stars list in the areas of Construction Litigation, Government Contracts, Employment & Labor, and Employment Litigation: Defense. The Super Lawyers list recognizes no more than 5 percent of attorneys in each state, and no more than 2.5 percent in each state for the Rising Stars list. Cohen Seglias has announced the promotion of Lisa M. Wampler to Managing Partner of the Firm’s Pittsburgh office. The announcement marks the first female managing partner in the Firm’s history. On January 21, 2016, Please join us for Ed Seglias and Jason Copley‘s seminar, “Ignorance is not Bliss: Construction Contract Provisions You Need to Know,” for the General Building Contractors Association (GBCA) in Philadelphia, PA. Please join us tomorrow, 11/4, for Shawn Farrell‘s presentation “Construction Disputes: Lessons Learned” at the Carpenters’ Company of City and County of Philadelphia’s Master Builder Dialogues. 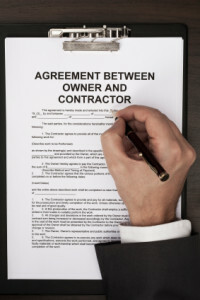 Which Design-Build Contract is Right for You & Your Projects? – DBIA – AIA – CONSENSUS DOCS – EJCDC?